Explore grant opportunities for STEM educators! 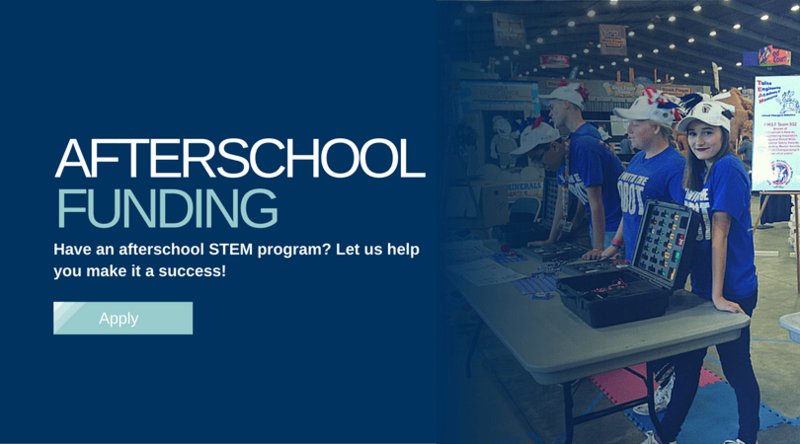 Whether you’re a teacher looking for funds for materials to provide hands-on, minds-on STEM for your students, or an educator hoping to expand your own knowledge of STEM through professional development, we have an opportunity for you! Through generous Tulsa area partners, TRSA is able to offer grants for various STEM related needs. 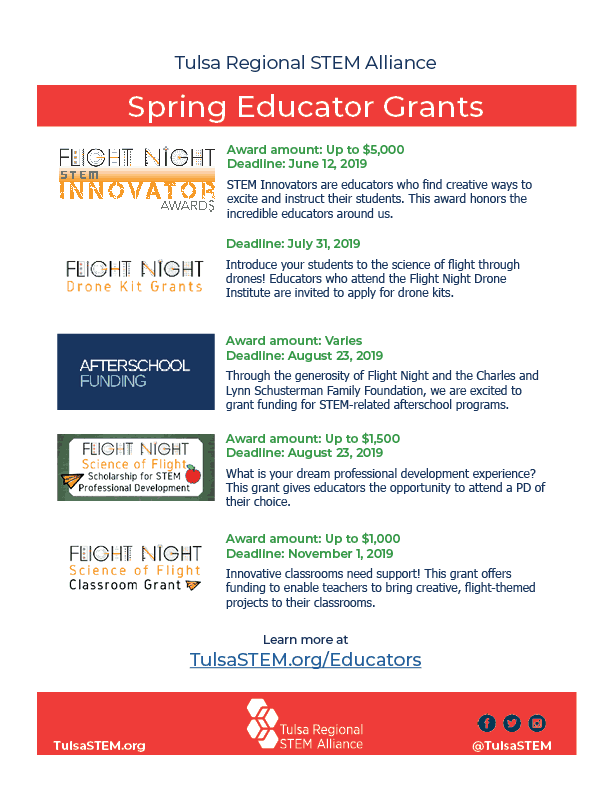 The Tulsa Regional STEM Alliance and Flight Night are honored to announce a grant opportunity for Oklahoma STEM educators to attend STEM PD. 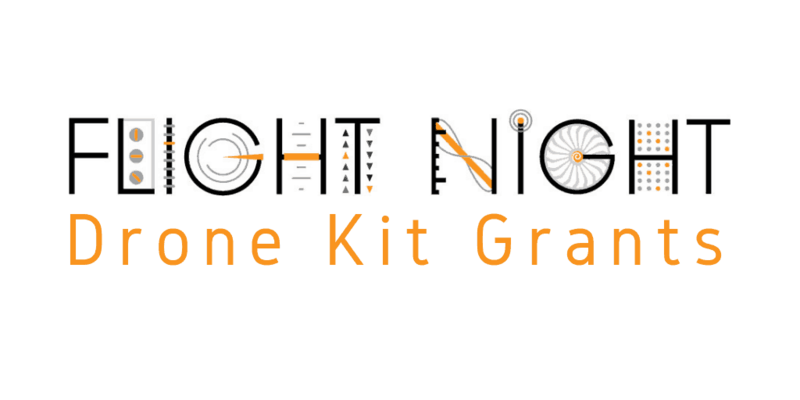 The Tulsa Regional STEM Alliance and Flight Night are honored to announce a grant opportunity for Oklahoma STEM educators to request STEM materials. The Tulsa Regional STEM Alliance and Flight Night are honored to award educators who are finding new ways to impact their students. Apply for drones to to use at the Flight Night Drone Competitions Applications opening soon!